The Bragg Health Foundation is proud to be an active supporter of Naturopathic Medicine, students of Nutrition, Integrative Medicine, Acupuncture and future Naturopathic physicians. A non-profit organization, the Bragg Health Foundation, was established by Dr. Patricia Bragg, health crusader, author, nutritionist to celebrities and business leaders, and CEO of Bragg Live Foods in Santa Barbara, California. Her father, Dr. Paul C. Bragg, was a Health Crusader and Pioneer in the health food industry, originating Health Food Stores in 1912. Developer of many nutritional products, supplements and books, he was one of the first to promote organic foods in the 1930’s. The Foundation's mission is to inspire and educate people throughout the world to adopt a healthy lifestyle through optimal nutrition, exercise, positive attitudes and spiritual wellness. Provides scholarships to students pursuing Naturopathic Medicine, Nutrition, and Chinese Medicine. Sponsors and funds health education lectures, seminars and healthy cooking classes. Conducts and sponsors health outreach and organic produce distribution to schools, community members, and elder adults. Authors and distributes books and materials on health and fitness. Supports and sponsors health programs for children and underserved communities. Promotes and supports community health through educational institutions and organic gardening and farming.Dr. Patricia and her father authored ten best-selling health books that have sold millions of copies throughout the United States and around the world. No family has inspired more people to choose healthy lifestyles than Dr. Patricia and her health pioneer father, Dr. Paul C. Bragg. At Alletess Medical Laboratory, it is our mission to deliver the best test performance and provide unsurpassed laboratory services to our clients. We are a CLIA licensed laboratory, comply with CAP proficiency testing and have been servicing clients worldwide since 1980. Customized Wellness Plans complement our food sensitivity testing to help the patient navigate challenges they may experience when embarking on an elimination diet. Registered dietitians are on staff to support clinicians and patients via email or telephone. À-la-carte IgE allergen ordering from over 650 food and inhalant allergens as well as component allergen testing. Most allergens can be ordered as individual IgG, or specific IgG4. Mold panels to assess allergy and/or exposure. Autoimmune panels include Celiac Profile, Connective Tissue Disorders, Rheumatoid, and Thyroid Disorders. All tests are available using serum samples. We offer three finger stick (dry blood spot) panels: 96 and 184 IgG Food Sensitivity Panels, and Candida albicans IgG/IgA/IgM. Our quick turnaround time, unrivaled customer service, and transparent pricing make us the best choice for your practice. We are well positioned to support you and your patients. Kibow Biotech is a biotechnology company founded in 1997, based in suburban Philadelphia and specializing in the development and commercialization of scientifically-formulated and clinically-tested probiotic dietary supplements. Kibow specializes in probiotic supplements for maintaining kidney health and boosting the immunity of the geriatric population by restoring their intestinal microflora. Established to help fight these rapidly growing health risks, Kibow provides the highest quality non-drug dietary supplements at affordable prices. Integrative medicine is a collaboration of safe and effective therapies from conventional, naturopathic, and alternative medicine. Integrative practitioners look beyond symptoms to identify and address the root cause and work hand in hand with patients to develop a plan of care. This collaborative, wellness-driven approach often includes clinical nutrition - both through diet, and nutritional supplementation – and that’s where we come in. We are among the top-tier manufacturers of supplements in use by integrative practitioners today – including naturopathic, chiropractic, nutrition, acupuncture, as well as a variety of general health and specialty practitioners. Over 23 years ago, Dr. Tori Hudson created Vitanica, to serve women. Dr. Hudson is a nationally recognized author, speaker, educator, researcher, clinician and the first woman in the United States to become a full professor of Naturopathic Medicine. Dr. Hudson has specialized in women’s health for over 30 years. To address these needs, and to develop a line of supplements which would meet her strict quality standards, Vitanica was created. Supported by her business partner, Vitanica has grown, having over 80 products, and holds a well-respected niche position in the dietary supplements industry. Mountain Peak Nutritionals® (MPN) was founded in 1996 by Dr. Jim Massey ND with the intention of creating a unique, comprehensive line of formulas which address specific health conditions. From our humble beginnings when we offered just one product, the advanced Ultra High™ multivitamin-mineral formula, to our present line of 32 Condition Specific Formulas®, our philosophy has remained the same: To create the highest quality nutritional supplements, using the purest, bioavailable and clinically-proven ingredients. 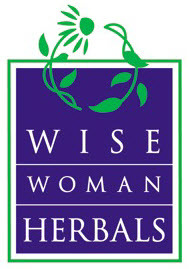 Now in our 27th year, tradition and consistency have provided the foundation for Wise Woman Herbals® whole herb products, and we continue our unwavering commitment to implementing formulations and techniques that have made us the leading producer of traditional botanical supplements to professionals. Our proprietary blends and handmade processing techniques have been handed down through an unbroken chain from the company's founder to our current staff of highly trained botanical production laboratory technicians. Vital Nutrients was founded with the mission to manufacture premium quality supplements. To accomplish this goal, we manufacture our products in our own strictly controlled facility following extensively monitored manufacturing processes. Our cutting-edge Quality Assurance program exceeds both industry and regulatory standards to ensure optimum potency and maximum freedom from environmental contaminants. Vital Nutrients is an FDA Inspected Facility. Our FDA Registration number is R11423196344. VSL#3 is a refrigerated probiotic that is potent, diverse, and viable. VSL#3 is up to 45 times more potent than leading prescribed OTC dietary supplements. There are 8 different strains of live bacteria in VSL#3 with the ability to survive the harsh environment of the stomach. Scientific studies suggest a combination of multiple types of good bacteria may provide benefits that cannot be achieved with single-strain probiotics.